How to BBQ with the Best of Them! So, you've decided to supplement your backyard barbecue prowess with the "low and slow" draw of a smoker. Maybe you want to impress your friends and neighbors with an amazing new rib recipe, or maybe you are just looking for an excuse to hang out outdoors all day with a beverage in hand. Whatever your reason, take it by the horns. Like the old NASCAR saying goes, "10% car...90% driver." Well, maybe. 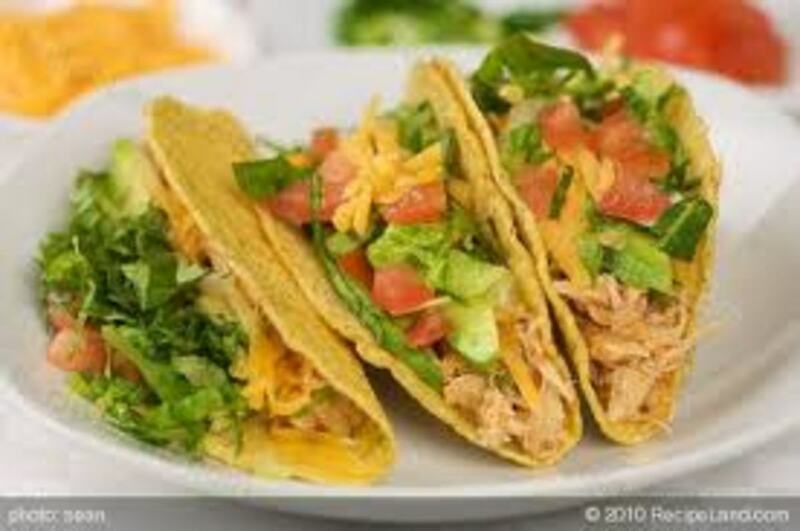 I would agree that your mastery with texture and flavor depends widely on your ability to maintain proper temperature and smoke, but a cheap smoker requires more of said "mastery" and may also result in more scraps for your dog if you're not paying attention. Is this necessarily a bad thing? I say "NO." My first smoker was an off-brand vertical unit. It weighed about 15 pounds and I paid $30 for the thing in the Wal-Mart clearance section in the seasonal dept. For a beginner, this would normally be considered an ok buy - or so I thought. Two overcooked briskets and pork shoulder later, I decided I needed to actually research my methods. Turns out...I did not have one. I purchased a meat thermometer. This helped, but I continued to struggle with temperature control. A little more research and a book taught me the delicate art of air damper control - using the smoker's air vents to regulate intake of oxygen to control heat. After about 3 months of trial and error (mostly error), I started to understand what smoking was all about. It is so much more than using smoke as a cooking technique. The preparation, tinkering with spices and seasonings, sauces and injections - they all play a role in the end product. I spent $30 on a smoker that forced me to learn techniques and heat management that I may not have to work as hard to achieve if I started out with a more expensive unit. 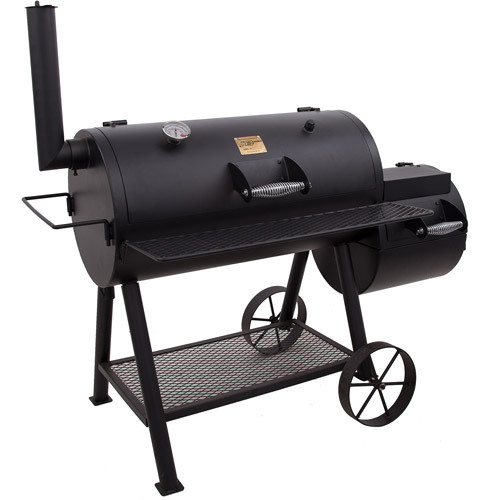 Your first smoker should provide a balance of ease and challenge. You don't want to get in over your head, but you really don't want to make it TOO easy either. I won't get into a debate about electric smokers here because I truly feel they have earned a place in the BBQ marketplace. 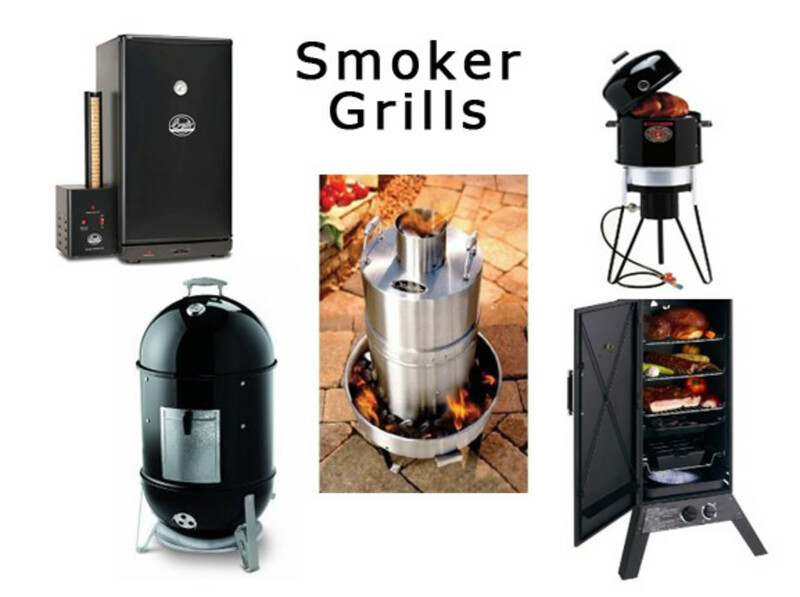 The units I recommend are charcoal and wood fueled for those who want to learn the basics of smoking and without breaking the bank. If you decide to go electric (set it and forget it), by all means; SMOKE ON! Summary: This unit is widely revered as a "must have" for those of any skill level. It is large enough to hold a turkey and a few racks of ribs, but small and light enough to move around if you decide to take it to the cabin for the weekend. I have seen these at my local Home Depot, Target and hardware store, so I would suggest finding a location near you to check it out for yourself. One piece of advice: Do not buy the 14.5" version. You will almost immediately wish you had purchased a larger one. I would highly suggest the 18.5" or 22.5." Pros: Solid and well constructed with a heavy lid. This is important because the smoke wants to rise and the lid will absorb a great deal of the heat. Multiple vents for temperature regulation. Large firebox door. Replacement or upgrade parts can be found at almost any corner hardware store. The 22.5" model can hold up to 68lbs of food! Cons: Not many. My only complaint is the seal of the firebox door. I would like to see future models of the Smokey Mountain with a side opening instead of a top latch and a heavier fire chamber door with a fitted seal. 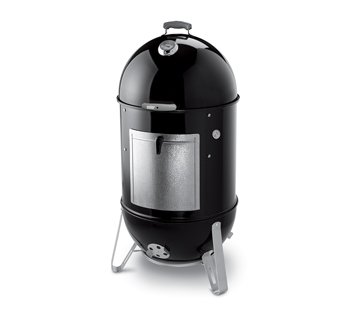 Pros: Vertical, gravity smoker that distribute heat evenly throughout the cooking chamber. Durable walls and flanged doors keep the smoke inside the chamber better than most at this price point. Masterbuilt customer service is among the best in the business. I have heard stories of people who have had their entire smoker replaced after a couple of years of hard use is something breaks. Cons: Can be difficult to control the heat. The ash pan sits on top of the propane flame and flare-ups will occur. The damper at the top gets extremely hot, so gloves are often necessary to control the heat when adjusting the exhaust. Summary: This is a great way to introduce yourself to offset barbecue. 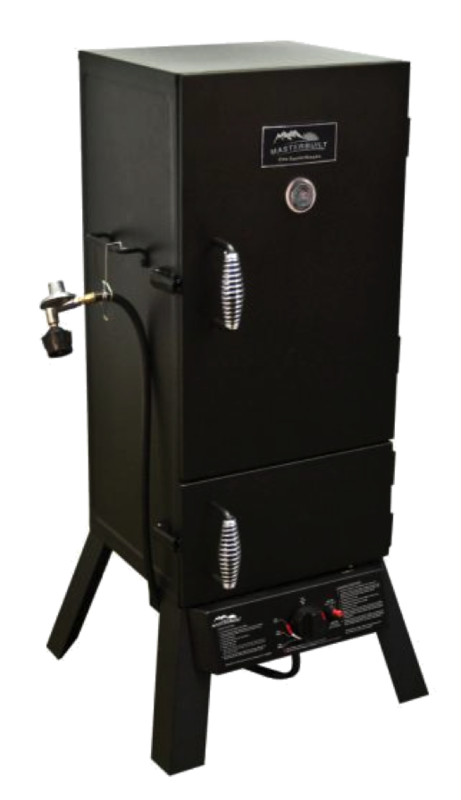 With this smoker, you all but eliminate the risk of direct heat charring, but you need to pay attention because this unit get HOT! There are other offset smokers on the market and to be honest, you pretty much get what you pay for. The Oklahoma Joe's Highland is probably the best of the commercial brands without spending a great deal of money. Cons: The firebox will become extremely hot. This is just the way it is with an offset firebox that is not made of 1/2-3/4" steel and insulated. If you have small children you won't want them running around this thing without adult supervision, or at the very least, a mutual understanding. This isn't designed to hold heat like your high-end. 1/4" steel units. That is where the "couple grand" comes in. 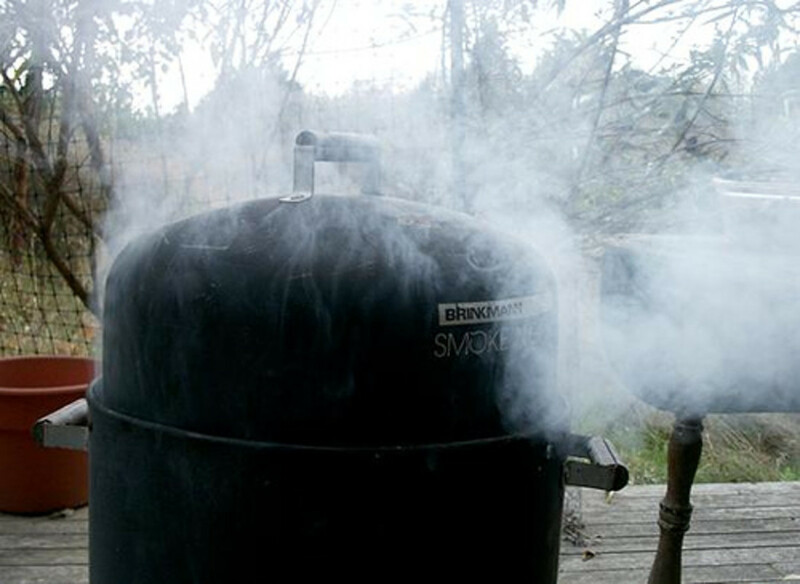 Unlike a vertical smoker, offsets require special ventilation to pull the smoke over the meat. This requires attention to your smoker thermometer as well as your intake vents as you learn this unit's heat regulation behavior. It's not so much of a "con" as it is a disclaimer. What type of smoker do you prefer?